Ready to Receive. 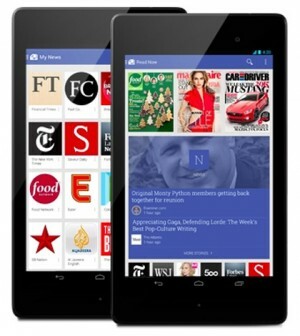 A significant trend fueling the growth of online magazines is the launch of budget tablets. If you attended CES 2014, the boom was pretty clear from the bounty of budget tablets on display. With prices expected to run between $129 and $179, 2014 may be the year of affordable high-resolution tablets which are perfect for consuming online magazine content. Research shows that more than 59% of people read more magazines after purchasing a tablet and 63% want to have more choices of digital magazines. That means there’s definitely a gap for your company’s content marketing to fill. Everybody Wins. One way to meet the demand for content on the rising number of mobile and tablet devices is with a digital publishing solution like an online magazine or app. The benefits of a digital magazine is that it integrates interactivity and analytics into a mobile adapted interface that satisfies the needs of consumers and provides performance information for brands. The Data Agrees. Adobe, whose Digital Publishing Suite (DPS) powers the majority of all digital issues consumed on mobile devices (nearly 80%), reports they have seen a 115% increase in the number of downloads of DPS-built publications in a year-over-year comparison from November 2012 to 2013. DPS-created apps also have three times as many unique monthly readers as they did one year ago, they state. This bodes well for both traditional publishers as well as brands developing their own online magazine audience. Some brands, like Pandora, are publishing digital magazines outright and companies, like Xerox, are partnering with traditional print publications like Forbes to set an example for what killer B2B content marketing can look like. Magazines for the Masses. Magazine-style aggregators, like Flipboard, are creating another content creation ecosystem by providing a way for anyone anywhere to create visually stunning digital magazines. Flipboard, which works with Android and IOS devices, does this by aggregating information from your social feeds, RSS feeds, and other partner websites and then presents it to you on your mobile device. In just three short years, they’ve attracted 85+ million users. Notable brands, like Banana Republic and Levi’s, are creating remarkable compelling visual content using Flipboard and more are coming online every month. Potential to diversify and expand its audience demographics. Apps are a good way to reach a younger demographic, for example. Use of rich media, such as video, enhances the “infotainment” value of the content and gives the user a superior experience over print. It’s the “showing” versus the “telling” that makes multimedia presentations such a powerful tool for engaging customers. Ability to segment consumers and use the data to create a different experience for the user based on who they are and what device they are coming from. A digital magazine may be isolated from the powerful sharing mechanisms of the web and is undiscoverable to new readers. Tablet and smartphone users only have the time or interest to regularly engage with a handful of apps. All content is not necessarily good content regardless of taking advantage of a shiny new toy. 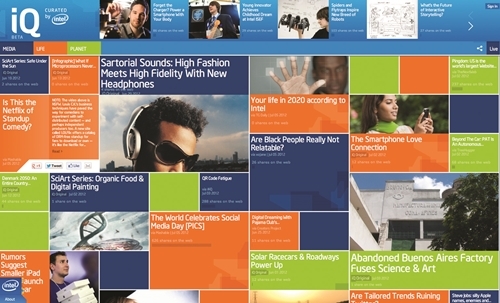 Digital news magazines provide a “perfect blend of technology and journalism.” Nick D’Aloisio, founder of Summly, which Yahoo acquired last year. “If you’re aiming towards the future it seems like the right idea. While I love printed publications, the product I wanted to create was going to focus on video.” David Ellner, founder and CEO of Panna. From 360-degree panoramic views and interactive photo galleries to videos and bonus stories, UConn Magazine – the University’s twice-yearly alumni publication – is now delivering a new kind of experience to readers, with audiovisual storytelling made possible through the magazine’s free app for tablet devices. 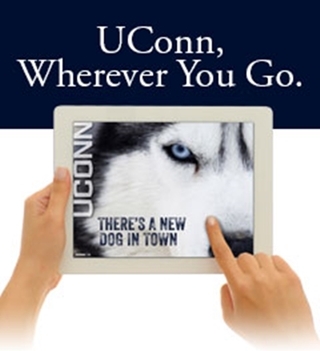 The UConn Magazine app launched in the fall of 2013, offering all of the content found in the print edition with the following features now made possible in digital form. Intel’s new digital magazine, IQ Matters, offers a peek at the outer edge of design, technology, social and big data. They developed an algorithm to curate social content in a way that leverages their own employees. They publish what employees are sharing and what’s grabbing their attention. It’s a combination of a social algorithm, plus an employee filter that crowdsources what they are saying and sharing and uses that as a discovery tool. To read the full story of the why this new “social property” works, read this interview with the editor in chief. Who other than Sir Richard Branson would advance the case for digital magazine content one step beyond what other publishers are doing? In January 2012, Virgin Media launched a bi-monthly magazine, using Blippar, an augmented reality app, which gives customers a fully interactive experience. From Richard Branson’s video welcome message to a personalized game where a user can blow up the Eiffel Tower, the magazine lets readers experience Virgin Media’s multi-channel offering. You have to step into this totally immersive experience to grasp fully the features of this technology. There is no one-size-fits-all for creating captivating digital content. As with all content, online and offline, it’s imperative you know your audience and the technology requirements of each platform. While the tablet screen dimensions are growing (new tablet sizes range from 7? to 10? ), smaller screens require even more compelling content. Content must align with what a consumer wants and how he or she wants it. Companies have learned consumers want digital content, and brands have shown how they can engage directly with consumers and buyers through digital magazines and apps. While some believe digital publications have a prominent role in the future of content marketing, magazine apps have drawn conflicting opinions from those in the marketing, publishing and tech industries. Some believe magazine apps live in a space overcrowded by other apps and, cut off from the open social stream of the web, suffer from poor discoverability and share-ability. The goal of all content marketing is to increase engagement, drive cost efficiencies and improve conversions. Online magazines and apps represent a natural development to provide a complete and immersive customer-facing experience. Have you tried creating an online magazine with Flipboard or a custom publishing solution? What’s your mix of curating vs. creating of content? 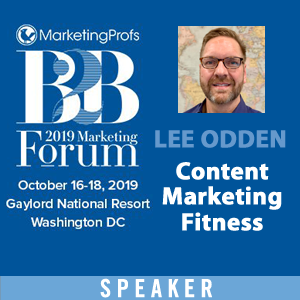 For more posts on content marketing tactics, be sure to see the full list here. I do agree that the almost everyone will win with digital magazines. The author mentioned that there are many great tablets in the $100 – $150 price range. However there are also many garbage tablets showing up on the market that cost $50, $70. Many people will purchase those tablets because they are the “right price”. Now all the work that went into creating an excellent experience does not get viewed correctly by the penny pinching group of mobile device users. As with any purchase, but especially with technology, people really want to conduct research and read customer reviews. As a result of this post, I actually checked into tablets and discovered, of course, not all are created equal. It’s still true, ‘you get what you pay for’ and also which features are you willing to do without. More and more people nowadays are using their tablets in browsing the web. Marketers should take advantage of using a digital magazine to their campaign. Thanks for sharing this very interesting article Nicolett. As always, I appreciate your contribution. selling. It is non-interruption marketing. audience. Nice article Nicolett.Keep it up. I will be keeping it up — stay tuned every Tuesday for these tactical content marketing posts! Thanks for stopping by. Content curation has evolved greatly in the past year, taking it’s own place in brands marketing strategy. A great way to curate content while adding your own insights and commentary alongside the original piece is by using Roojoom – a new platform that enables you to share multiple pieces of content in one link or embed them on your website. If you are looking for a way to stand out in the crowed you should check it out. Companies have learned consumers want digital content, and brands have shown how they can engage directly with consumers and buyers through digital magazines and apps! With tablets making a big dent I’ve been thinking of how to make the blogs I work with function more like a magazine when presented on a tablet. I think this is why you see more blogs with bigger fonts, more white space and imagry. Websites are moving away from looking like websites and more about presenting content on multiple devices in an easily digestible way. I’ve seen the evolution and what seemed fresh and new just two years ago, now seems dated (which means I have to rethink by own blogs.) I think if you look at responsive design WordPress templates, many already have those elements incorporated. I observed that more people nowadays are into digital devices that they can’t last a day without exploring it. Well, maybe it’s a big opportunity to anyone who wants their business to be discovered. Doing business online is a great way in order for the prospect client to try your business and spread it to others. Thanks for your comment Maegan. An acquaintance referred to our digital devices as “electronic leashes.” Love them or not, providing information where and how your customers consume content is a business reality. Many thanks for the UConn Magazine mention! I was happy to see such an exceptional use of the technology. Hello Nicolette – great summary, and very interesting topic. I would like to add to the discussion that selecting a correct technology platform is crucial in this aspect. Digital magazines can be very valuable tools for marketers but that often native apps are chosen which is not well suited for marketers. Web apps on the contrary take away most of the cons you mention. Digital magazines, if produced as a web app, not a native app, are SEO-capable and easily discoverable through organic search. Example can be seen by googling “9lives readz”. Thanks for your insight. Like any content marketing tactic, it’s essential to understand the technologies underlying the tool.